A pH meter can be used to test the acidity of the soil, which plays a huge role in how well certain plants can grow. Maintain high-quality soil by monitoring the acidity levels with gardening help from an urban horticulturist in this free video on plant seeds. Hi, I'm Stan DeFreitas, Mr. Green Thumb. One of those important factors in growing is that of the Ph. Ph, of course, is just the hydrogen ion capacity of your soil. In other words, let's break it down, the sweetness or the sourness of your soil and for centuries, farmers have been even tasting their soil on occasion just to see if it was acidic or not. If the Ph is not correct, nutrients like well, nitrogen, phosphorus, potassium, manganese, iron, many of these elements will not be used correctly by your plant and you may actually get into a condition called hidden hunger. 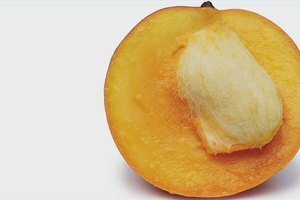 In other words, the plant looks like it's okay, but it's not flowering as well as it should or it's not producing fruit like it should or even just growing like it should. If that Ph is not correct, you may have a problem and one of the things you need to do is to check the Ph. This Ph meter is sort of a commercial Ph meter, but you can find cheaper ones at your local nursery. Take your pH meter put it into the soil and check it. It normally will read in about ten seconds. If it's too acidic, you can add dolomite to help make the soil more alkaline or if it's too on the acid side, we said the dolomite or you can go the opposite way with the sulfur if the Ph is too alkaline. You need to make sure your Ph is probably about five point five to six point five. In other words, slightly acidic. If your Ph is way off, too acid or too alkaline, your going to need to adjust it and when you do adjust it, you'll find that your plant will use those nutrients that you're supplying more efficiently. Raising Ph is an important factor. I'm Mr. Green Thumb, Stan DeFreitas. 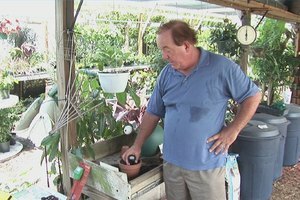 Stan DeFreitas, also known as "Mr. Green Thumb," has worked as an urban horticulturist for the Pinellas County Extension Service and has taught horticulture at St. Petersburg College.